This was the debate this morning at the Meeting of the Women Parliamentarians here at the 131st Assembly of the Inter-Parliamentary Union in Geneva. 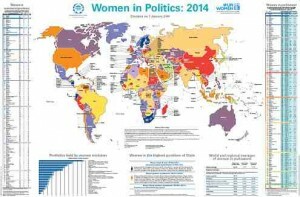 For years, the IPU Committee on Women, of which I was Chair from 2008-2010, has been tracking the number of women in the parliaments all over the world. Worldwide, the average is 21.8%, still off the target of 30%. When I took the floor, I pointed out that the Philippines has had two women presidents and have elected women to various positions in government. Despite that, Congress has yet to break the 30% barrier. At present, the Senate has 6 women, which represents 25% of the Senate, while the House has 79 women out of 290 representatives, or 29% of the lower chamber. – that we evaluate our portrayal of women in politics as seen through the eyes of children, i.e. how women are portrayed in text books and other media that are readily consumable by the youth. 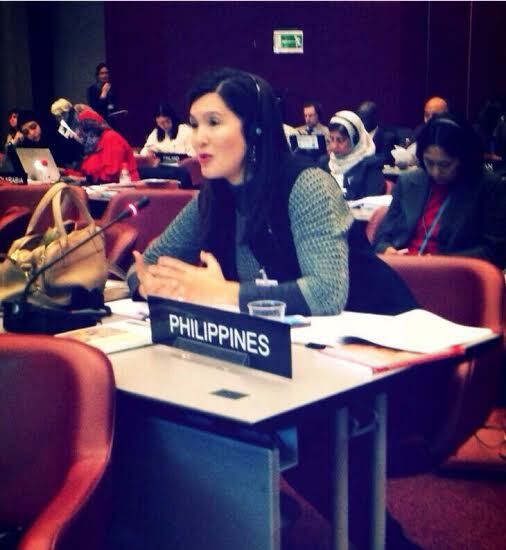 What is the role of women from the perspective of a student and young Filipino? Those against quotas say women should win their seat fair and square, while others express concern that quotas don’t work without the corresponding programs that will allow women effective participation within political parties and in parliament. To my mind, whether or not we adopt a quota system, these important steps must be taken to ensure an effective mechanism for increasing the number of women in parliament.